fall=time to make apple pie. 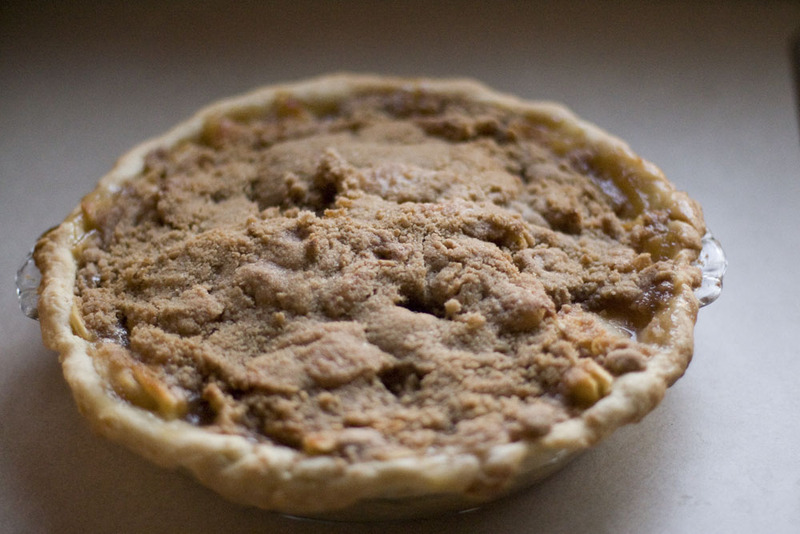 i wanted to make something different this time though, so i found a recipe for caramel apple pie on epicurious. 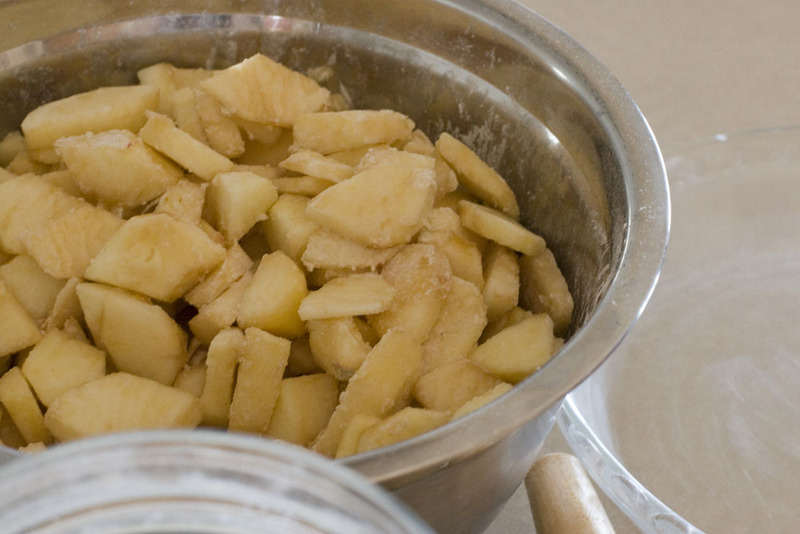 cut up the apple, tossed them in flour. then i pretty much made the equivalent of a simple syrup and added butter to it, which equalled caramel in their eyes. next time i will make my own caramel. then a streusel went on top. the crust was make with lard and butter with a tablespoon of sugar tossed in, so NOMG. despite the weird caramel, it was pretty darn good! what is your crust recipe? i need to buy some lard and start cooking with it. enough of this partially hydrogenated oil business. It’s the same recipe from mom – just modified to use half lard and half butter instead of crisco. I tried all butter one year and the crust just burns. I also add 3 tblsp. of sugar. another thing that helps is to chill everything before making it. then after you get the crust mixed, throw it in the fridge for an hour for it to cool before you roll it out. helps make it not so fall-aparty. does lard work well for greasing pans? right now i use crisco and flour. does lard and flour work? or just stick with crisco? I’ve never tried lard for greasing. it probably does.